Throughout its history, Gillfield’s church leaders were fortunate to have called capable stewards who strove to promote the momentous issues of their time. During its 209 years of existence, only 11 ministers have served the four congregations, (Davenport Church, Sandy Beach Church, The Church of The Lord Jesus Christ, and Gillfield Baptist Church). The legacy each has left behind is duly recorded in the history of Gillfield. Gillfield Baptist Church had its beginning in Prince George County and was known as Davenport Church. At that time whites and blacks worshipped together. Davenport Church became an autonomous institution. The present Gillfield Church dates its history from this church. Davenport Church moved to Petersburg and the two memberships separated. The blacks located on the Appomattox River in Pocahontas. The name was changed to Sandy Beach Church. Flood problems forced the church to move to Collier’s Alley. The name was changed to the Church of Our Lord Jesus Christ of Petersburg. The church joined the Portsmouth Baptist Association (a white association). The Church of Our Lord Jesus Christ of Petersburg joined with First Baptist of Richmond, VA in the formation of the African Missionary Society. Rev. 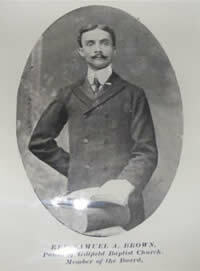 William Pittman (white minister) was the pastor. Land known as Gill’s Field – located on Perry Street, was purchased from Moses Pillsborogh at a cost of $550.00. The first house of worship at this site was called the “Red House” with an entrance on Collier’s Alley. The African Missionary Society was responsible for sending our first missionary, Lott Carey, to Africa. State Law, during the civil war, prohibited or hindered colored churches from having meetings and colored men from preaching. Colored churches could not have meetings unless a white person was present. No night meetings could be held. White ministers pastored the church during this time. Elder Sampson White (colored minister) was called to serve as pastor. He served until 1838. “The White House” worshipping structure, built between 1840 and 1842 on Perry Street, burned, THOMAS B. CREATH (white minister) served as pastor from 1842 to 1844. HOSEA CROWDER (white minister) served from 1845 to 1858. Was the last white pastor. Served when the Civil War began and continued until the war ended. 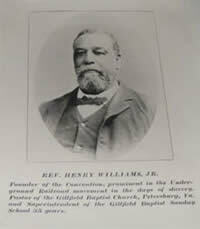 Reverend Henry Williams, Jr., D.D. Began the agitation of colored teachers for the colored schools in Petersburg. In 1874, the erection of the present structure, costing $26,200 was begun. Completion date was 1878. The church was then styled (named) Gillfield. Was honored (after his death) in 1901 with the erection of a monument located in Blandford’s Little Church Street Cemetery. Reverend George B. Howard, D.D. 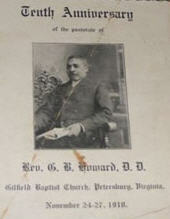 The Reverend George B. Howard, D.D. 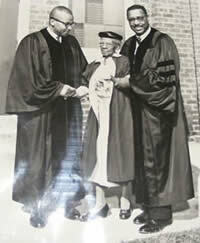 Dr. Grady Wilson Powell, Sr.
Ordained the first women deacons in a Black Church in the United States. Instituted the Day Care Center and Gillfield Crater Nutrition Program. Established a housing board for the building of Gillhaven. 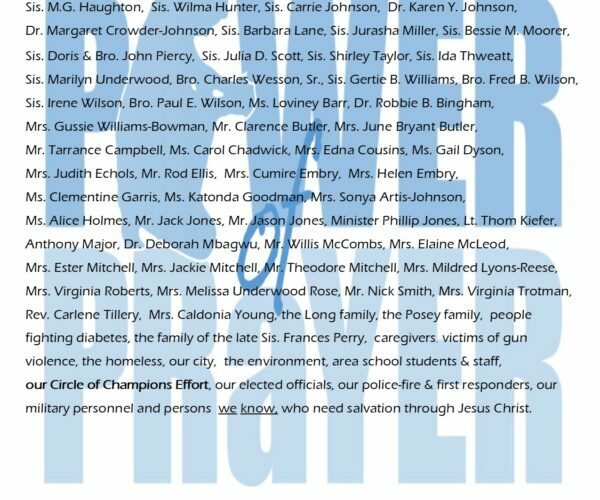 Presided over the Church Mortgage of $250,000.00 Education Building. The Reverend Glenn Eugene Porter, Sr., D.Min. 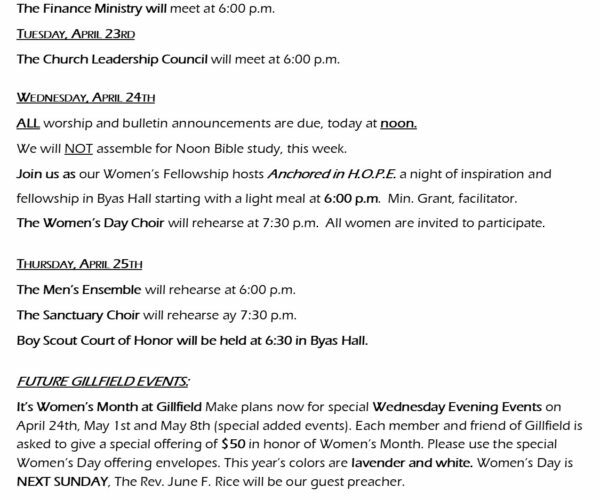 Served as Gillfield’s eleventh pastor in March 2000. Installed Gillfield’s first salaried Youth Minister. 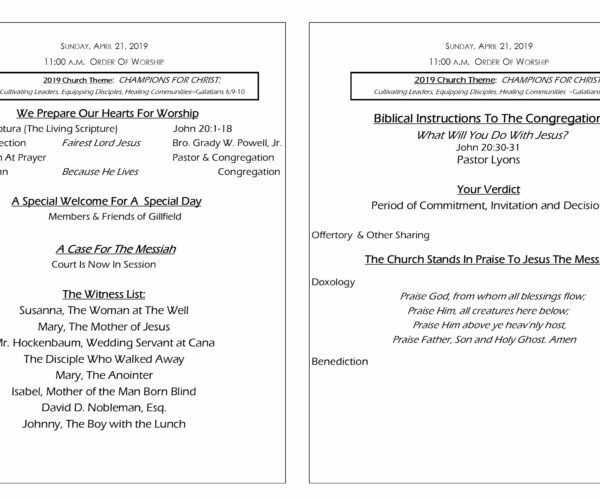 Reorganized Bible Study, adding; Monday and Wednesday Evening Bible Classes, an Evening Class for Youth and Children and a Noon Bible Class. Licensed three new ministers; two female and one male. Increased the membership of the church. Dr. George W.C. Lyons, Jr.